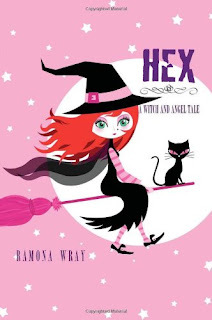 I'm giving away a copy of Hex, A Witch and Angel Tale by Ramona Wray ! This giveaway will last until 11:59 PM on Thursday March 10th. The next day, March 11th, I'll pick the winner and email you to tell you that you won. hey ashley! new follower! love the blog and im excited to read more! I commented on both the review & the interview.